So you are a fifth year student, finally about to graduate college. Perhaps you are a recent grad entering the job market, or even a professional starting all over again. I always like to think to myself that if you do what you love, you’ll never work a day in your life. How do you find that job that gets you jumping out of bed in the morning? It all starts with most importantly finding your passion, and finding people that you like to work with. In today’s world, where you are one click away from someone across the world who is just like you, there is no excuse for not finding and reaching out to them. I remind myself every day that everyone you meet knows something you do not, so get networking, and get learning! Do you like networking? Whether you do or do not, networking through social media is simple, fun, and productive. It is an efficient and necessary tool in advancing your career. Your goal is advancing your career, right? Do you want to be successful? Well if you have read this far, this probably is your goal. 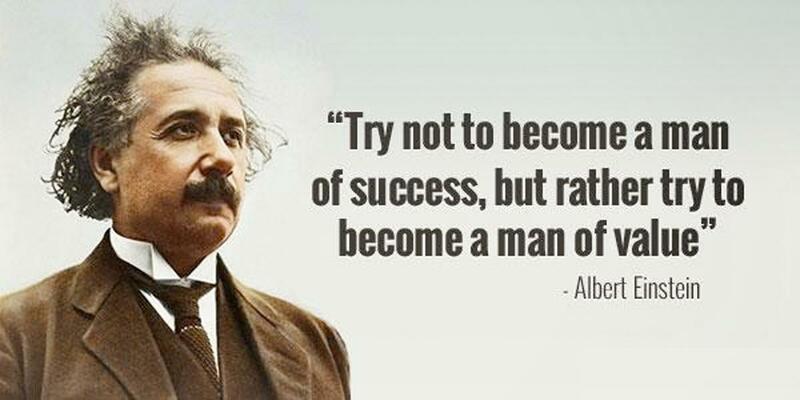 A phrase that Albert Einstein is noted once saying, goes “Try not to become a man of success. Rather become a man of value” (www.Values.Com). Keep this in mind as you read on. The first step in networking on social media is to determine what your goal is. Do you have a business idea and want to collaborate with people of value? Are you a recent graduate looking for an internship? Are you simply expanding your professional network to help yourself years down the road? Do you want to learn from someone who has experience in the investment world of cryptocurrency? Now that you have determined what your goal is, you must decide which social network platforms you want to utilize. Each one has its advantages and disadvantages. Visit (https://www.lifewire.com/top-social-networking-sites-people-are-using-34...) for some ideas on which platforms are best for you. The data on table below will help you learn more factual information about the many different social media options. Allow it to aid in your discovery for the perfect platform for your needs. Now you know which platform(s) you will be using. You must understand that these platforms have evolved for you to more easily navigate them. “Cultural determinism depends on the assumptions that the values, feelings, beliefs, and practices of the culture cause particular technologies to be developed and used; and that changes in culture result in changes in technology” (Slack-Wise, 2014, p.51). Before reaching out to anyone, you must work on yourself. I’m talking about how they will look at you when you reach out to them. I’m talking about your online profile. It has to be appealing! This is essential, and it needs to encourage people to want to interact with you. The most beautiful aspect about your online presence is that you get to portray yourself in any way that you choose. The wisest thing to do is to truly keep it honest, and always keep it professional. “Teens often imagine their audience to be those that they’ve chosen to “friend” or “follow,” regardless of who might actually see their profile” (2014, Boyd, p. 32). You get to paint any picture you like for anyone viewing your page. Make sure it is a painting that will draw viewers in. Complete your profile with any professional information that you would like the world to know. “Every time a new consumer joins this media landscape, a new producer joins as well because the same equipment--phones, computers--lets you consume and produce. It is as if when you bought a book, they threw in the printing press for free” (Jenkins et al. 2013m p. 153). Allow me take you back to Albert Einstein’s quote. How do you become a man or woman of value? Simply think about the value you bring to the table that will help you achieve your initial goal. This is what you will fiercely leverage to achieve what you have set out for. Some examples of value can be your experience and knowledge on a subject, and skills. Essentially, ask yourself what you can do for an individual, and leverage that. I will elaborate on how to leverage in a following section. The same method goes for whatever interest or goal you set out with. LinkedIn is excellent for professional networking. If you have an interest in real estate, and want to learn more about how to go about beginning a career in it, I would advise you to network with people who are doing just that and have what you want. If this describes you, with your profile professionally completed, type in Real Estate and then click on the “Groups” tab. There are 18,000 results, and thousands of people included in each group. You may want to get more specific in your search to find something local if that is your interest. When contacting someone online, an important tip for you to remember is that you must use leverage. Leverage is simply the ability to use something to its maximum advantage. What exactly can you leverage through a social media conversation? Anything that displays your relatability, reduces uncertainty, and increases your likeability. The uncertainty reduction theory is “a variety of information-seeking strategies to account for uncertainty processes within acquaintance” (Knobloch, 2015). You will certainly and naturally encounter this online. You have already determined a reason for contacting a particular individual, so you should know enough about them from their profile to relate with. Do you have mutual friends? Leverage that. Are they a part of a unique and different group that you are familiar with? Bring it up, and leverage that. It is important to understand that in order to achieve your networking goals, you are going to have to do it over and over again. You will probably be unsuccessful quite a few times, but the master has succeeded more times than the amateur has even attempted. Stay consistent, and stay patient. “Research shows that children’s ability to delay gratification-- the willpower to stop doing something that will bring them immediate satisfaction so that they can receive an even bigger reward later--predicts success in life” (2016, Seppala, p. 19). Some people may have no interest in meeting others, so do not get discouraged! By now, you should have at least a remote idea of how opportunity-rich social media truly is. You know how easy it is to find people with specific interests. You can go online right now and find 10 people who consider themselves masters at 3D Chess and tell you how to learn more. Random, yes, but this example should highlight my point! My blog post was written to provide insightful tips in your networking adventures through social media. This post told you about setting goals, choosing the right social media platform, presenting yourself as an individual with value through your profile, networking through groups, and using leverage to achieve your goals. I hope that this information was insightful, and sparked new and exciting ideas of your very own on your adventures networking through social media. Please feel free to reach out to me and share any unique and effective techniques you have used to network on social media! Don't forget to click here to watch me share a great personal example with you! Seppala, E. (2016). Stop Chasing the Future. In The Happiness Track. New York: Harper Collins. boyd, d. (2014). Identity: why do teens seem strange online? In It’s complicated: The social lives of networked teens (pp. 29–53). New York: Yale University Press. Slack, J. D., & Wise, J. M. (2007). Determinism. In Culture + Technology: A primer (pp. 49–59). New York: NY: Peter Lang Publishing.